We Day is making its way across the country and National We Day is coming to our the capital and will be held on April 9th at the Canadian Tire Center! There is an incredible line-up of inspirational speakers and entertainers - Her Majesty Queen Noor of Jordan (@QueenNoor), Martin Luthor King III, National Cheif Shawn A-in-chut Atleo, Simple Plan (@SimplePlan), Kardinal Offishall (@KardinalO), JRDN (@JRDNMusic), Gen & Jas (the Oducado twins), Craig and Mark Keilburger (@CraigKielburger), Spencer West (@SpencertotheWest), Molly Burke (@Mollymetowe), Hannah Alper of callmehannah.ca, and Vishal Vijay of childreninaction.ca! 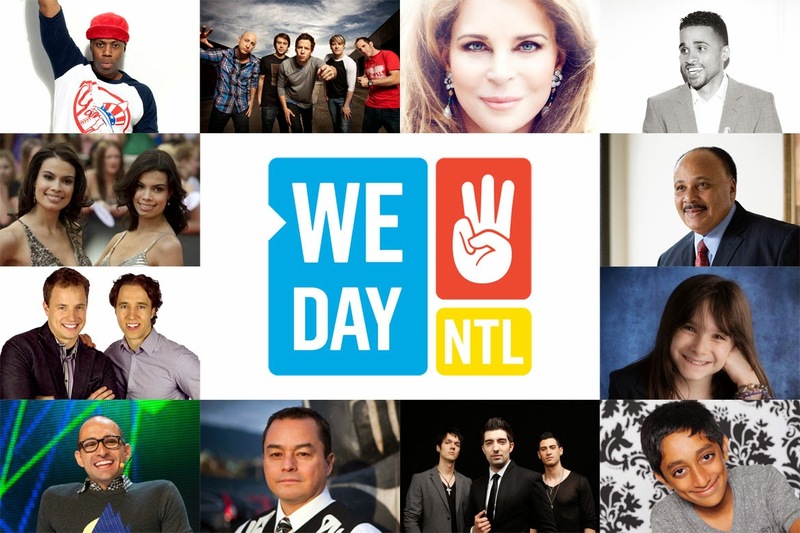 You can read about each of this years special guests on the official National We Day website! I am thrilled to be attending National We Day with my daughter once again on behalf of Telus as a VIP guest! We Day is such a wonderful thing, its more than just a one day event, it's a year long initiative that teaches our youth that even the smallest efforts can still make a big difference. If you don't know already, you can't just go out and buy tickets to attend We Day. Youth groups, schools etc can earn their way to We Day by signing up and through community efforts can get themselves a ticket to an amazing event of a lifetime. During our We Day experience we not only have the opportunity to witness the show in all its glory but also get a chance to ask questions and take pictures of the preformers and speakers! 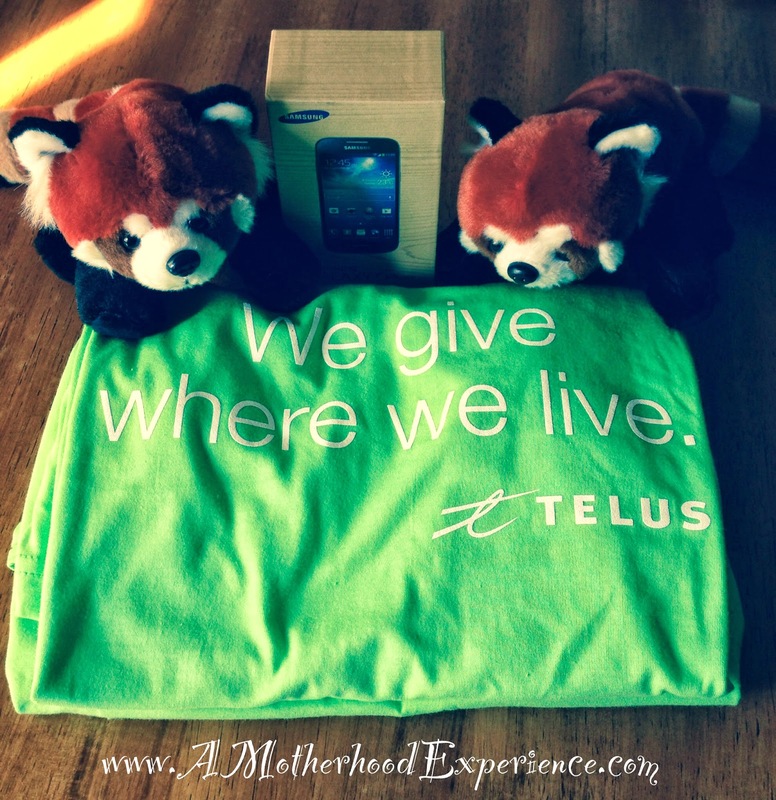 To get us even more in the We Day mood, Telus gifted us with Me to We style t-shirts to wear at the event, a Samsung S4 mini to capture our We Day moments and two cute Telus critters (Red Pandas!). Also, if you haven't already seen it - take a look at the new We365 powered by TELUS where youth can keep track toward their goal of earning their way to We Day! The app is free and available for Apple and Android. To learn more about the partnership between Telus and Save the Children please visit www.telusforweday.com! We can't wait to tell you all about our experience at National We Day 2014! There are bound to be some star studded moments, my daughter is delighted to be a young photographer for the day using the Samsung S4 Mini! I am so proud to be able to share these moments with her! These are experiences and moments she will have with her for the rest of her life and I know the message of We Day will be with her too. Follow along our tweets with hashtag #TELUSFORWEDAY on Wednesday, April 9th! Posted by AME on behalf of Telus/We Day. Complimentary VIP invite for myself and one youth guest + perks received in participation. Opinions and comments on this blog are those of the author. So exciting! Have an amazing time.